New Delhi: President Ram Nath Kovind on Tuesday accepted the Election Commission’s recommendation and rescinded the Lok Sabha polls in Tamil Nadu’s Vellore parliamentary constituency. 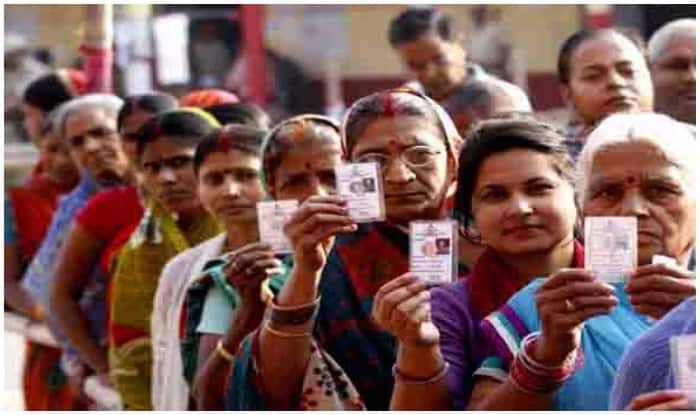 Moreover, voting in East Tripura parliamentary constituency has also been deferred to April 23 due to security reasons. Notably, both Vellore and East Tripura Lok Sabha seats were scheduled to go to polls in the second phase of Lok Sabha elections 2019 on April 18. “Accepting the recommendation of Election Commission dated April 14, 2019, the President is pleased to rescind election to Vellore Parliamentary Constituency, Tamil Nadu to elect a member to Lok Sabha,” Election Commission said in an official statement. The EC had sent its recommendation to President Kovind following cash seizures from the premises of DMK veteran leader and party treasurer Duraimurugan’s son Kathir Anand’s house in Vellore on March 29. On April 1, reports surfaced about illegal cash being moved from a college owned by the Duraimurugan family to a cement warehouse in Vellore. Rs 11.53 crore was seized yet again the second time. Anand, who is the DMK’s candidate in Vellore Lok Sabha constituency, saw seizures of around Rs 19 lakhs. However, official scrutiny had later found that only Rs 10.50 lakh had been seized. The Tamil Nadu police had even filed an FIR against Anand, and two others for their alleged links to DMK and Duraimurugan family. Earlier in 2016, elections in Thanjavur and Aravakurichi assembly constituencies were scrapped after AIADMK and DMK were allegedly bribing voters. In 2017, by-elections in the RK Nagar seat were also called off following bribery charges. RK Nagar seat was held by later former TN chief minister J Jayalalithaa. The cancellation of the poll in Vellore Lok Sabha seat evoked sharp reactions from the DMK which alleged it was an attempt by Prime Minister Narendra Modi to “besmirch” the party using the Election Commission. “It is a murder of democracy. Modi has planned to wreck the polls by allegedly misusing the Enforcement Directorate, CBI, Income Tax and the Election commission,” DMK president M K Stalin told reporters in Tiruchirappalli. DMK Treasurer Duraimurugan, whose son Kathir Anand is the party candidate in Vellore seat, told PTI that cancelling the poll was a “murder of democracy.” Allies of the DMK also condemned the cancellation of the poll. The Election Commission announced postponing voting in the Tripura (East) Lok Sabha seat to the third phase on April 23 from April 18, saying the prevailing law-and-order situation there is not conducive for holding free and fair poll. “The law and order situation at present is not conducive to the holding of free and fair poll,” the poll panel said, citing reports of state chief electoral officer and special police observer. “Polling will now be held on April 23 (Tuesday) by which time the law-and-order situation in the constituency would improve and become “conducive to the holding of free and fair election”, the EC added. As per the reports of news agency PTI, the returning officer had feared that ‘miscreant elements’ may thwart the polling process in the constituency. Based on the ground and intelligence reports, he had requested for additional central police force. Following the developments, now 95 constituencies will go to polls in the second phase on April 18. Earlier 97 parliamentary seats were scheduled to vote on Thursday. Polling will take place in some of the Lok Sabha seats in Tamil Nadu, Assam, Bihar, Chhattisgarh, Jammu and Kashmir, Karnataka, Maharashtra, Manipur, Odisha, Puducherry, Tripura, Uttar Pradesh and West Bengal.